Unless otherwise noted, all images on this page are courtesy of Mr. George R. Knowles. 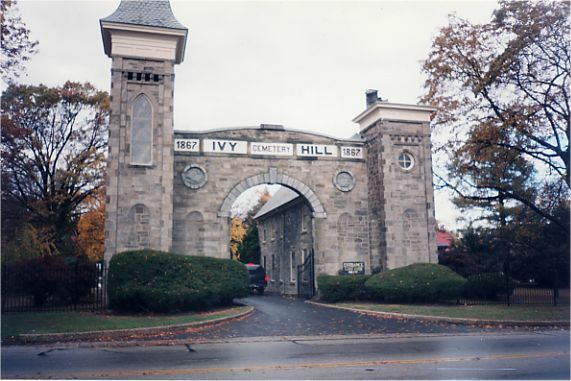 The main gate at Ivy Hill Cemetery, Philadelphia, PA, early on the morning of November 11, 1998. 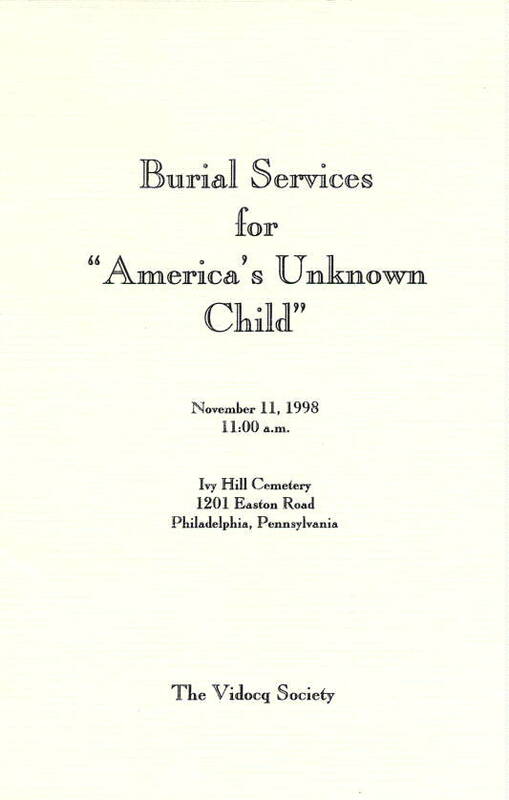 This beautiful site was selected as the final resting place for America's Unknown Child. It had rained heavily since the previous evening, but almost as if on cue, the rain stopped, the clouds parted, and the sun appeared shortly before the funeral service was scheduled to begin. 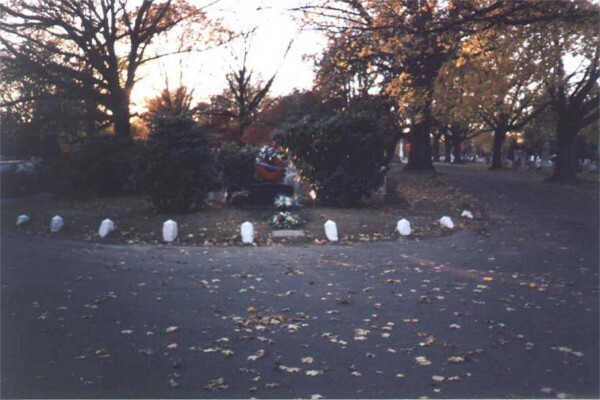 A view of the boy's grave. 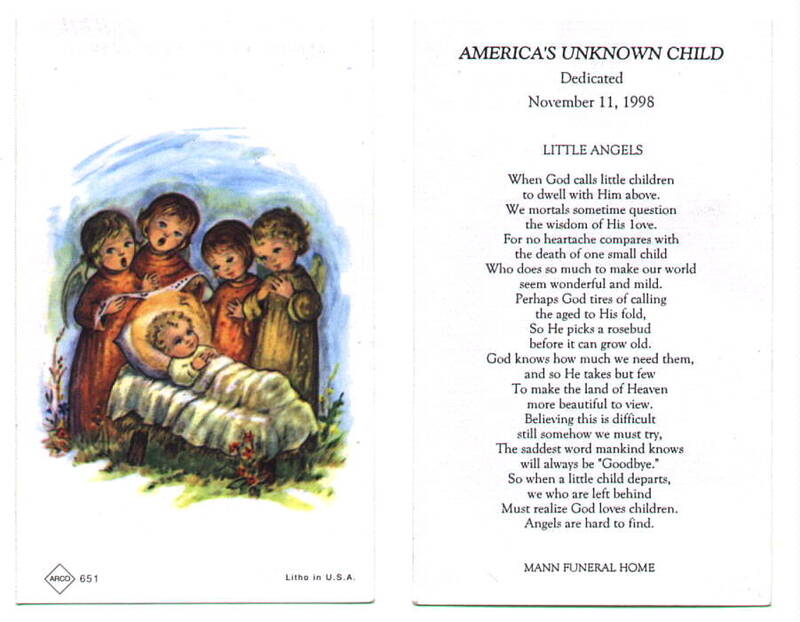 His new headstone bears the image of a lamb, and is inscribed with the words, "America's Unknown Child... Dedicated November 11, 1998." The original headstone, bearing the words, "Heavenly Father Bless This Unknown Boy ... February 25, 1957", was set at the foot of the grave. 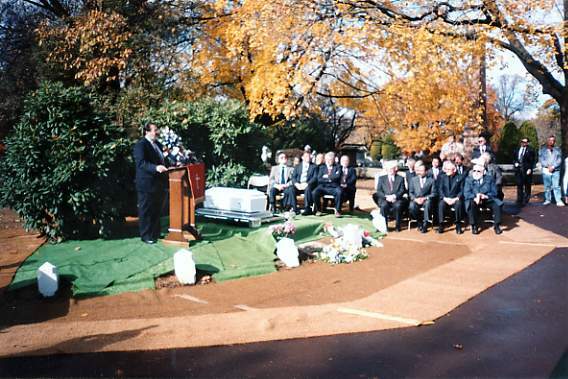 A wide-angle view of the gravesite. At the right are chairs reserved for members of the Vidocq Society, law enforcement officials, clergy, and other dignitaries. 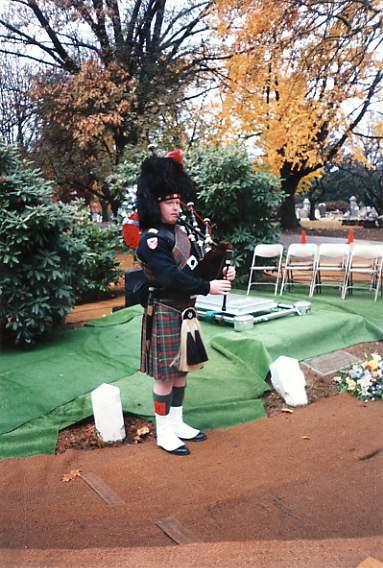 At precisely 11:00 a.m., the solemn funeral service commenced, with a bagpiper playing the tune "Going Home". To hear a bagpipe rendition of "Going Home", click on the gray button. 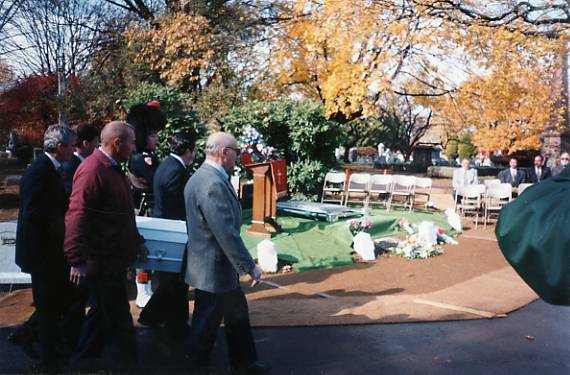 Pallbearers (Vidocq Society members and Philadelphia police officers), carry the tiny white casket of America's Unknown Child from the hearse to the grave. 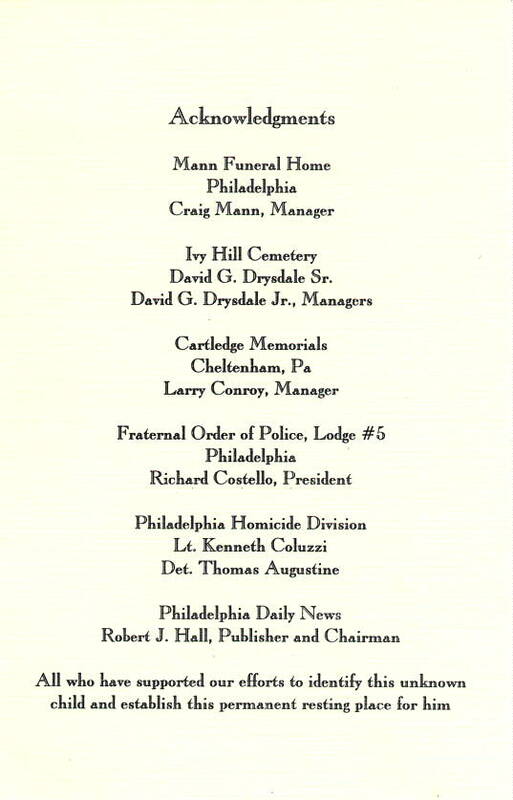 William L. Fleisher, V.S.M., co-founder and Commissioner of the Vidocq Society addresses the funeral attendees. Approximately 100 people attended the service, including a large number of news reporters from the press and broadcast media. Philadelphia homicide detective, Tom Augustine, the man in charge of the current Boy in the Box investigation. 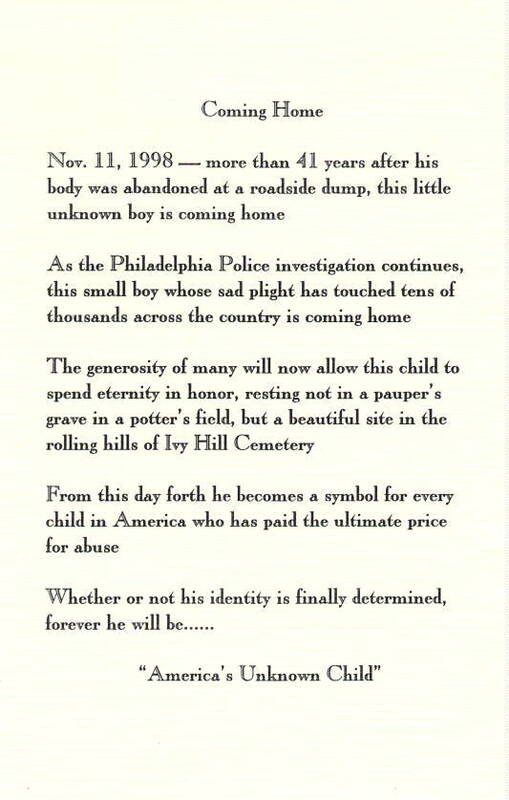 Retired Philadelphia detective, Sam Weinstein, VSM, pays tribute to the unknown boy. 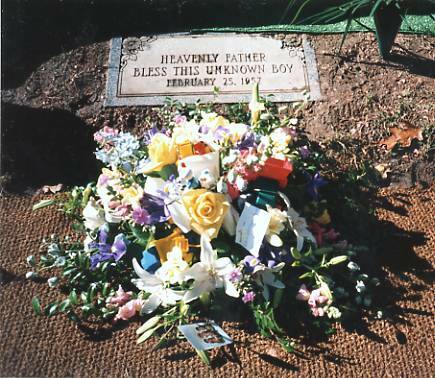 A close-up of the charming floral bouquet, containing toy cars and trucks, that was placed at the foot of the boy's grave. 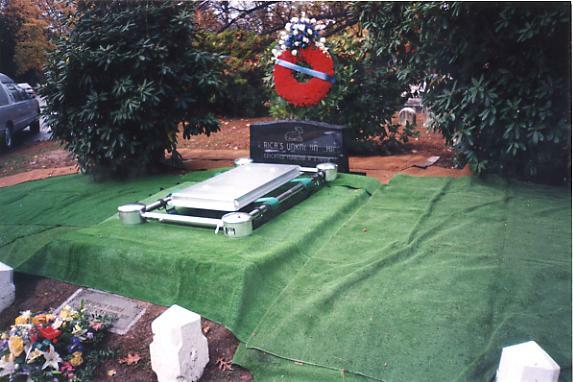 A wide-angle photograph of the gravesite taken at dusk, several hours after the interment. 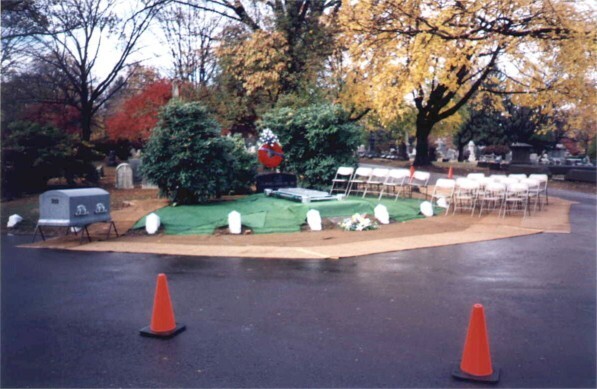 The grave is prominently located, and occupies a place of honor just inside the main gate of Ivy Hill Cemetery. 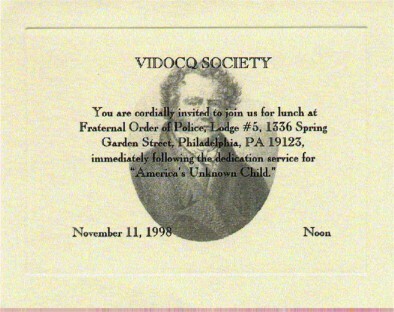 Following the service, a luncheon was hosted by the Vidocq Society at Fraternal Order of Police Lodge #5 in Philadelphia. 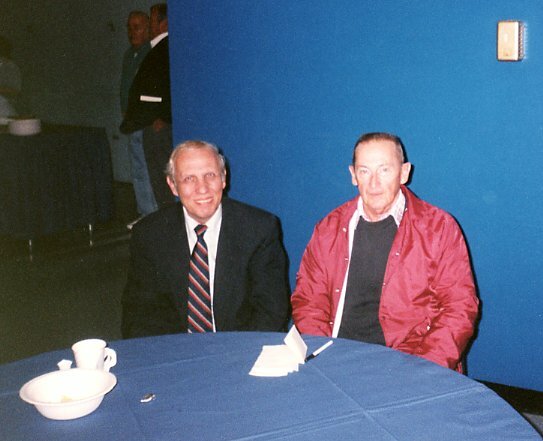 Pictured here are George R. Knowles (left) - Administrator of the America's Unknown Child web site, and Elmer Palmer (right) - the first police officer to arrive at the discovery site in February, 1957.